Chapter 44A - Statutory Liens and Charges. Article 1 - Possessory Liens on Personal Property. § 44A-2. Persons entitled to lien on personal property. § 44A-3. When lien arises and terminates. § 44A-4. Enforcement of lien by sale. § 44A-5. Proceeds of sale. § 44A-6. Title of purchaser. § 44A-6.1. Action to regain possession of a motor vehicle or vessel. Article 2 - Statutory Liens on Real Property. § 44A-8. Mechanics', laborers', and materialmen's lien; persons entitled to claim of lien on real property. § 44A-9. Extent of claim of lien on real property. § 44A-10. Effective date of claim of lien on real property. § 44A-11. Perfecting claim of lien on real property. § 44A-11.1. Lien agent; designation and duties. § 44A-11.2. Identification of lien agent; notice to lien agent; effect of notice. § 44A-12. Filing claim of lien on real property. § 44A-12.1. No docketing of lien unless authorized by statute. § 44A-13.  Action to enforce claim of lien on real property. § 44A-14. Sale of property in satisfaction of judgment enforcing claim of lien on real property or upon order prior to judgment; distribution of proceeds. § 44A-15. Attachment available to lien claimant. § 44A-16. Discharge of record claim of lien on real property. § 44A-17: Repealed by Session Laws 2012-175, s. 5, effective January 1, 2013. § 44A-18. Grant of lien upon funds; subrogation; perfection. § 44A-19. Notice of claim of lien upon funds. § 44A-20. Duties and liability of obligor. § 44A-21. Pro rata payments. § 44A-22. Priority of liens upon funds. § 44A-24. False statement a misdemeanor and grounds for disciplinary action against a licensed contractor or qualifying party. § 44A-24.3. Commercial real estate lien. § 44A-24.4. When lien attaches to commercial real estate. § 44A-24.5. Lien notice; content. § 44A-24.6. When lien claim release or satisfaction to be filed. § 44A-24.7. Lien claimant to mail copy of notice of lien to owner by certified mail. § 44A-24.9. Complaint; content; parties' foreclosure action; procedure. § 44A-24.10. Lien extinguished for lien claimant failing to file suit or answer in pending suit within 30 days after service on owner. § 44A-24.11. Satisfaction or release of lien. § 44A-24.12. Cost of proceeding to be paid by nonprevailing party. § 44A-24.13. Discharge of lien. § 44A-24.14. Priority of lien under this Part. Article 3 - Model Payment and Performance Bond. § 44A-27. Actions on payment bonds; service of notice. § 44A-28. Actions on payment bonds; venue and limitations. § 44A-29. Limitation of liability of a surety. § 44A-30. Variance of liability; contents of bond. § 44A-31. Certified copy of bond and contract. § 44A-32. Designation of official; violation a misdemeanor. § 44A-34. Construction of Article. §§ 44A-36 through 44A-39. Reserved for future codification purposes. Article 4 - Self-Service Storage Facilities. § 44A-41. Self-service storage facility owner entitled to lien. § 44A-42. When self-service storage facility lien arises and terminates. § 44A-43. Enforcement of self-service storage facility lien. § 44A-44. Right of redemption; good faith purchaser's right; disposition of proceeds; lienor's liability. § 44A-44.1. Possession vested in occupant. § 44A-45. Article is supplemental to lien created by contract. § 44A-47: Reserved for future codification purposes. § 44A-48: Reserved for future codification purposes. § 44A-49: Reserved for future codification purposes. Article 5 - Aircraft Labor and Storage Liens. § 44A-55. Persons entitled to a lien on an aircraft. § 44A-60. Notice of lien on an aircraft. § 44A-65. Notice of lien filed by the clerk of court. § 44A-70. Priority of a lien on an aircraft. § 44A-75. Termination of a lien on an aircraft. § 44A-85. Enforcement of lien by sale. § 44A-90. Title of purchaser.